Steam is used across many industries and plays an important role in a variety of industrial processes, including everything from atomization to propulsion and sterilization. 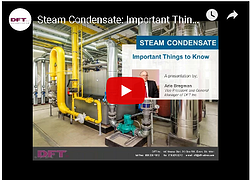 This presentation will explain the uses of steam, the problems that can potentially arise, and the solutions to these problems. Receive exclusive access to the downloadable slide presentation and pre-recorded webinar, by submitting the form.